Ok so Sunday 12th May seems favourite. And to make it more inclusive if you have an early 90's full bouncer - lets go for it. So long as its retro in your opinion - thats what is important - just don't turn up on a 1X11 29er - it will spoil all the photos! Regarding camping - you will be fine camping on the car park which is the start/meeting point. No one lives within 1/2 mile of it and in swindon Lorry drivers camp out with impunity - so you will be fine. Just make sure you leave it like you found it - i.e. no signs that you have camped! Failing that there are load of cheap hotels in Swindon. 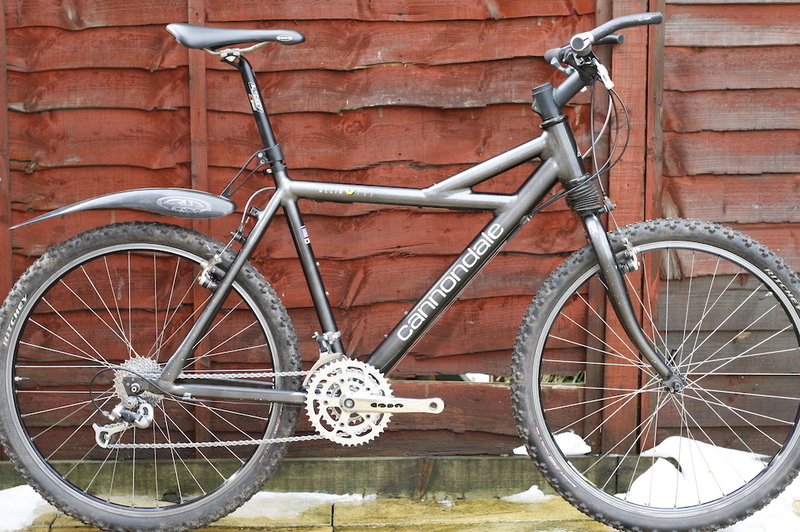 As for bikes - I have had 2 pinch flats on my hardtail in January so I am in the market for a nice UST rim brake wheel set - if I don't get it by May - I will probably use my SuperV (1997) which is tubeless but has a V brake on the back. thats correct I would love to use my 1993 V brake bike so long as no one minds me faffing about fitting a new inner tube "as and when" I pinch flat it! Looking forwards too it, and aiming to show up on my 1990 Attitude. I have no problem waiting for folk to fit new inner tubes as and when pinch flats occur, as i'll be one of those folks getting a puncture too i'm sure. I'm still up for it but can't decide on which bike to bring at the moment, might have to decide nearer the time. I'm sure we'll all be ok dealing with any punctures. Just realised that this clashes with the Moors100 so I'm not going to be able to make it, sadly hope you all have a great day! I'm out, will be away on holidays. Have a good ride. Im lucky to have the difficult choice of what to bring. Looks like my Yo Eddy will be running by then, so should i bring a Yo Eddy or an Attitude? I'm interested if its not the last weekend in May. That’s no way to speak of your long suffering spouse. Hi all , the trails have dried up nicely so if it stays dry we will have a nice dusty ride.